Longjing tea or Dragon Well is a famous variety of green tea.It is produced mostly by hand and has been renowned for its high quality, earning the China Famous Tea title. 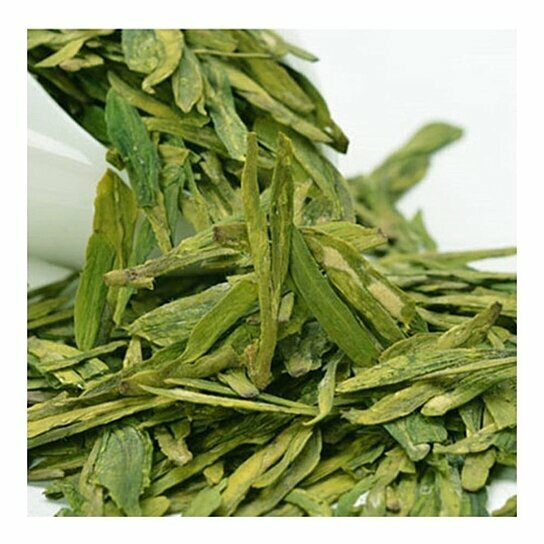 It has unique fragrance and flavor,flat, slender strips of tea leaves in bright green liquid. In ancient times top Dragon well is the tea of emperors and special dignitaries. The tea was only plucked once a year during March and April before the Clear and Bright Festival; otherwise it could not have the moniker imperial. It was carefully picked and processed completely by hand from hand picking to hand roasting in large electric woks.